Saarlouis was founded in 1680 by King Louis XIV, the famous Sun King. Built as a northern defence fortress for the Kingdom of France, Louis XIV liked his new city so much that he named it after himself. Nowadays, the citizens of Saarlouis live within the remains of the fortress that have been integrated into the modern city structure. 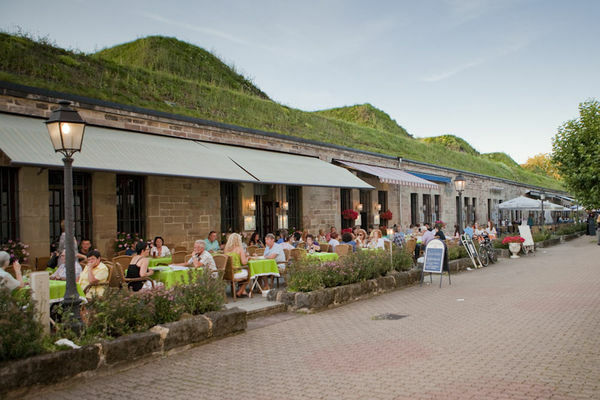 The former fortress has turned into a city of parties and festivities, famous (and infamous) for its parties in the Old Town of Saarlouis. In summer, this part of the city is transformed into one long open-air bar. All round the “Big Market Square“ there are also numerous shops and boutiques to indulge in some shopping. Saarlouis likes its German-French past. And if you look over the Saargau region south of the city that leads up to the Lorraine region in France, it will be hard to tell where Germany ends and France starts. Built in the 1950ies, the Saarlouis town hall is located next to the St Ludwig’s church. The spirit of Louis XIV can still be felt in the Gobelin Hall with its Baroque furniture and French tapestry. In the former stables and shelters, visitors can now find small pubs and restaurants. 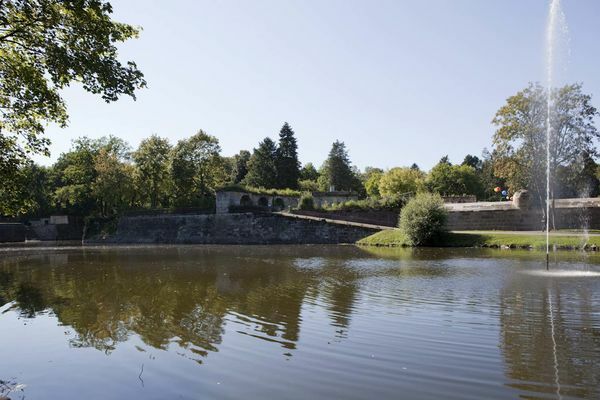 Via the local recreation area around an arm of the river Saar, you will reach the Vauban island, „Bastion VI“ and the rampart trench, sights that are now as imposing as there were in the past. Visit the museum to see an impressive modell of the former fortress showing all the typical features of the era of Louis XIV but also the special location of the city and the Saargau region close to the border. Hike up the Litermont (414 metres) and enjoy the view from this romantic rock. The entire “Litermont peak tour“ covers 6.25 miles (10 km) of trails through forests and over meadows and at the end a nice inn and some good food will be waiting for you. The valley of the river Nied is peaceful and pretty. 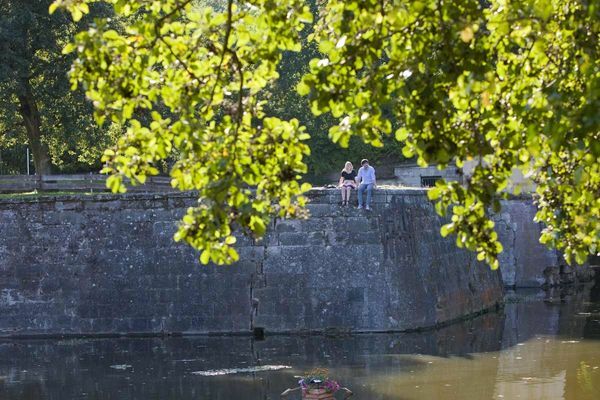 Why not get a bike and cycle along the Nied, stopping at one of the restaurants on the ways. There is one in the village of Niedaltdorf that even has a proper stalactite cave in its cellar. The municipality of Wadgassen is home to the “German Newspaper Museum“ featuring interesting documents on the history of newspapers and newspaper-making.